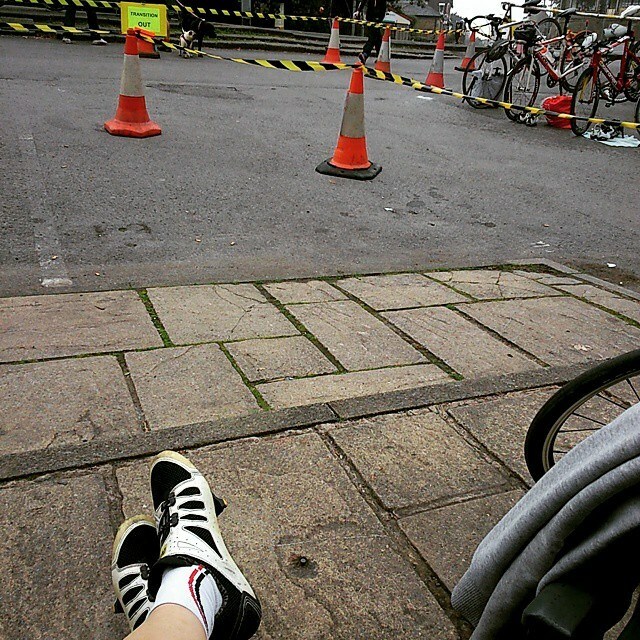 I’ve not run a single step since May this year, so there was no way I was going to take part in a duathlon. I don’t care how laid-back or grass-roots the event is, I wasn’t going to put my legs through that sort of nonsense right now. Nope, instead, me and Deb would take part as a relay team. Deb’s a pretty handy runner nowadays so I thought we’d do ok. It was more exciting than I thought it was going to be…. The race started with only three relay teams and only two of those were mixed. So it was us or them. I waited patiently in the transition area, bike positioned ready, helmet on, caffeine gel down the neck. The runner in the other pair reached transition, she tagged her team mate and he rode off up the hill. I waited a bit more and started to worry – something must have happened to Deb. Seven minutes after our rivals had handed over, Debbie returned. “I’ve been over on my ankle 3 times” she gasped. I rode as fast as I could up the first climb in pursuit, not going if I’d be able to make up a seven minute gap over a hilly 16 mile route. 9 miles later, I caught the guy I was chasing and rode past. I’ve ridden this loop dozens of times, but never have I ridden it as fast as this. By the time I reached transition again (where Deb was complaining that I’d gone ‘too quickly’), I’d created a 5 minute gap. It would have been a bit more if I hadn’t stupidly incurred a 20 second time penalty for not dismounting the bike in the right place. Always pay attention at the race briefing, kids…. Both runners were away. Deb had a 5 minute head start but had a dodgy ankle. I chewed my nails a bit. There was a bottle of beer up for grabs for the relay winners. In the end we finished second, but what a nail-biter! 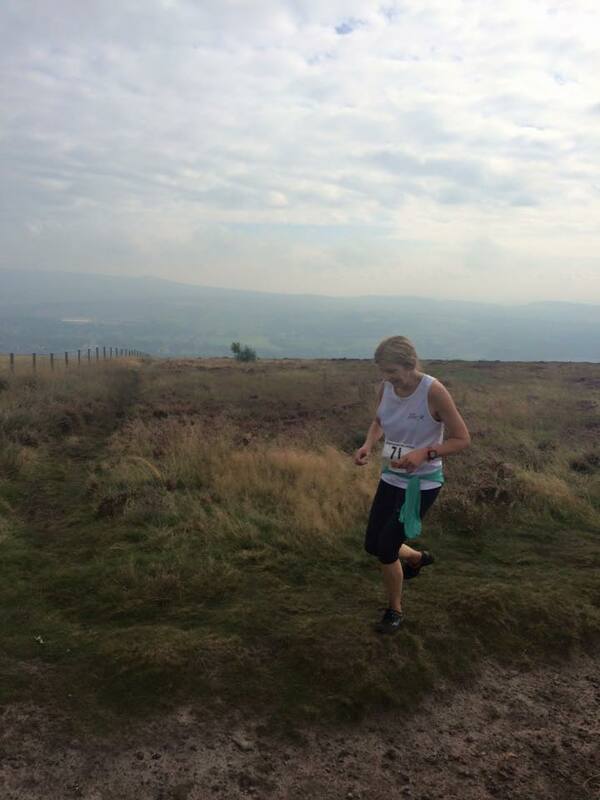 Everyone had given it their all, including the Holcombe Harriers who organised the whole thing. Well done to them! So that’s pretty much it. All my training for the World 24 Hour race is done. I’m happy that I couldn’t have done any more, not without losing my job/marriage/sanity anyway. This means that the race can just happen now, whatever the outcome I know I’ll have given 100% in preparation for it and as long as I don’t catch a cold or crash on the first lap or some other surprise event, I should do ok. All I need to do now is pack my stuff, get on a plane on Thursday and show up at the start line. I’ll be back at work the Wednesday after…. We salute you. Just hope everything goes as well as it can next month. Best of luck Jase. You’ve worked hard. cheers boss. we’ll have a few pints when I get back. Always look forward to reading your reports. Good luck with the Worlds. I think you did well considering her state during the run! Anyway, I enjoyed reading your race report. Looking forward to more.